Since my teenager years I have always enjoyed working out. There wasn’t a class in my local fitness club that I hadn’t tried. 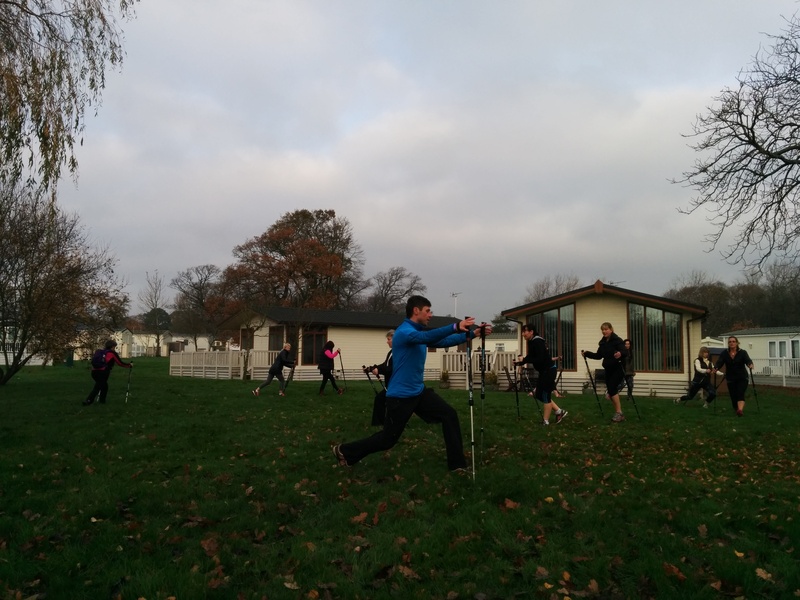 With the approach – ‘more is better’ I used to exercise quite vigorously throughout my twenties and early thirties. As of 2015 I am now 33. I have truly enjoyed my active and reasonably healthy lifestyle but I was never fully happy with my results considering how much energy and time I was putting into it. Despite working out a lot and very hard I couldn’t achieve muscle definition no matter what I did. Most of the time, in fact, when I looked at myself in the mirror my face appeared to be very tired, and obviously I didn’t like that. 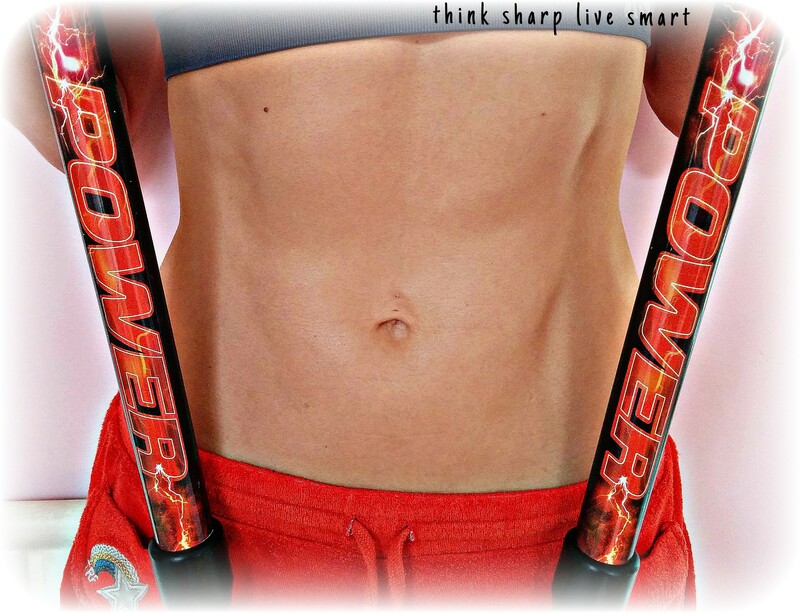 My journey of transformation slowly began in March 2014 when I discovered a set of Bungy Pump poles in my garage. 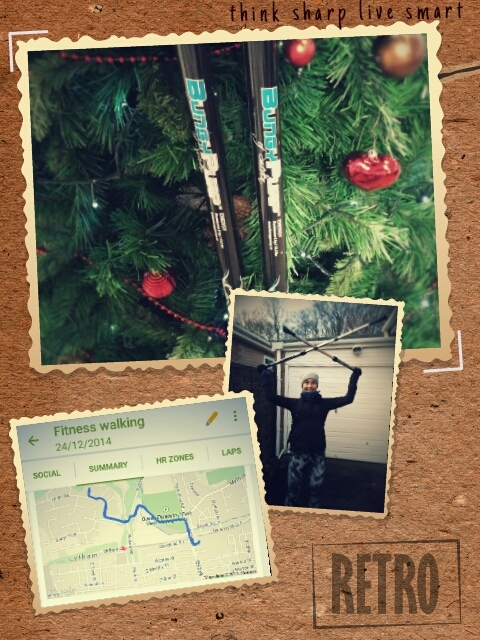 My partner, who is a Nordic Walking instructor, had some equipment samples of poles to try with his clients. On that particular day one of the gym classes was cancelled and so I decided to take a long walk instead. A friend and I went out for a walk with those poles. We didn’t know the technique back then, but those poles seemed perfect and comfortable to walk with. We used the Energy model with 6 kg built-in suspension and off we went. It was a gorgeous sunny day and we just carried on walking, chatting, and laughing, without even realising how far we had gone. We managed to do few more similar workouts and I also noticed I wasn’t craving for sweet things so much afterwards, as I was normally used to. This was a very positive change for me. 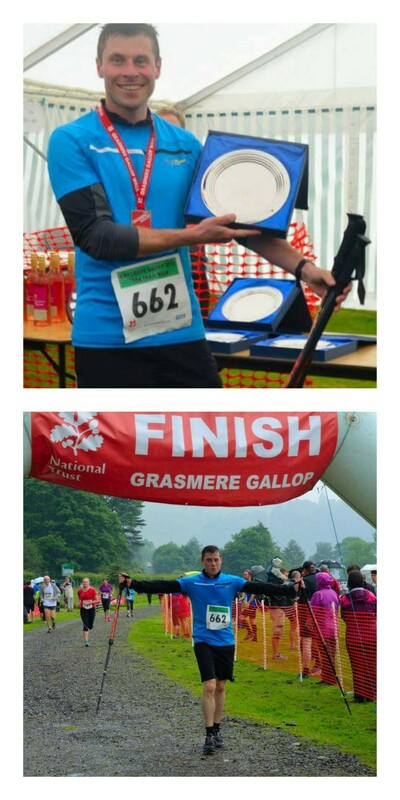 Me and my friend Unchalle at Grasmere Gallop 2014, taking 3rd and 4th place in the female category 🙂 and my husband taking first place in the male category. The same year around November time I supported my partner with delivering Bungy Pump workouts at Fit Camps events at Ribby Hall near Preston and Fitness Fiesta in Windsor. My partner and I presenting one of a wide variety of exercises possible with Bungy Pump at the Fitness Fiesta event in Windsor. For the whole weekend I was working out with Bungy Pump poles and during my break times I was sneaking out to some Pilates classes. It was a great experience and I reached the same sort of conclusion regarding a lack of feeling overtired after the workouts. I remember waking up the next morning and looking at my flat tummy in the mirror. I was surprised how good it looked despite the fact that I didn’t do a single conventional abdominal crunch exercise. Only later did I work out the reason for this. 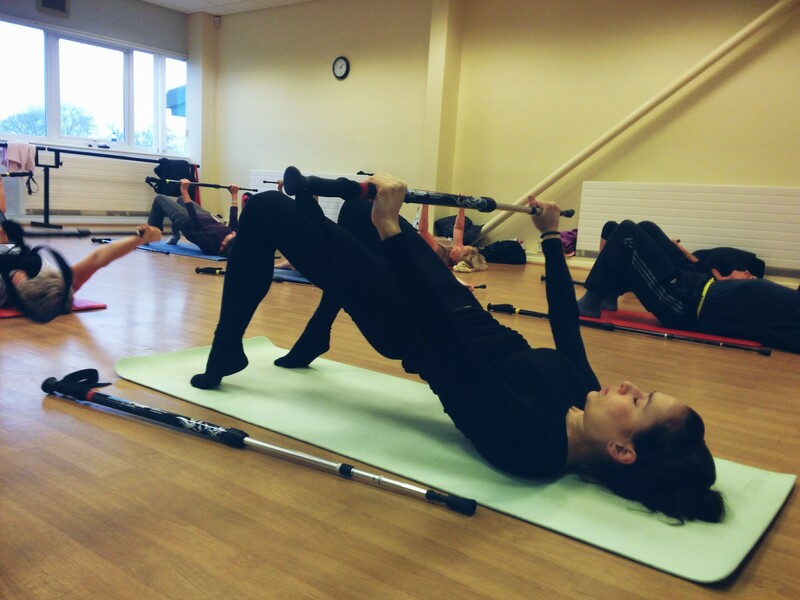 As I wasn’t over-stressing my body whilst training with the Bungy Pump suspension poles I felt much more balanced and relaxed, and I consequently I snacked less. We do tend to eat more when our adrenal glands are exhausted. Most of the time adrenal fatigue is associated with intense or prolonged physical or mental stress. Every workout we do puts our body under some form of physical and mental stress. It is a real challenge to balance that stress for it to work to our body’s benefit. There is a very fine line between good stress and too much stress whilst working out and I was just at the beginning of my journey of discovering more about it. 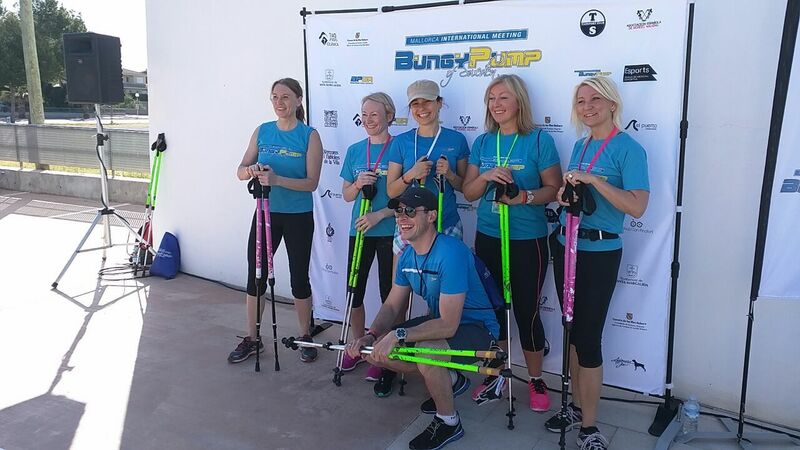 As I enjoyed training with Bungy Pump regularly I needed to cut down on some of my gym sessions to give me enough time for walking. I quickly discovered how versatile Bungy Pump actually are. I started using them daily on the way to go shopping and also when strolling with them in the local park whilst chatting with my dad (who lives abroad) via my headphones. I would also use them for slow pace workouts focusing on every single plant and consciously engaging my muscle, as well as for interval training creating some stations for lunges, or jump squatting exercise, etc.. I even found I could combine using them during my DVD workouts for even greater benefit. Enjoying the nature during my regular walks in our local parks. 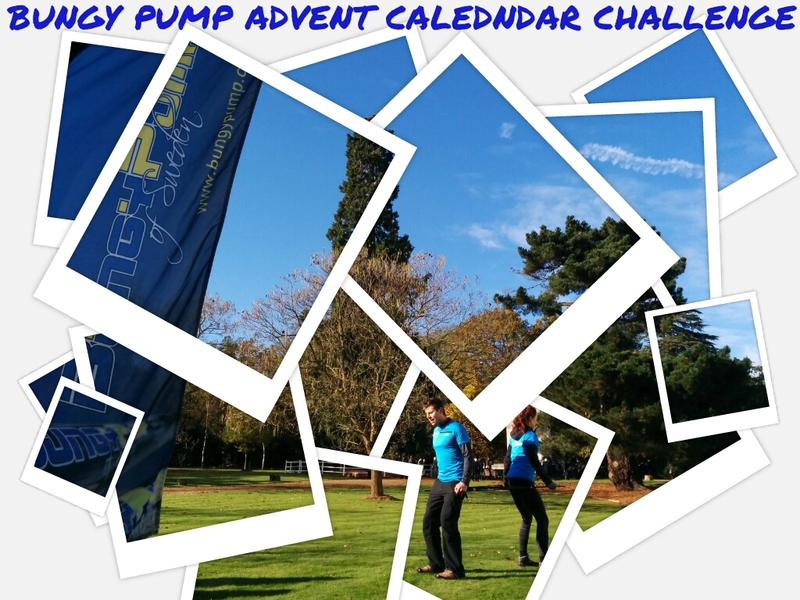 For the month of December I set up an Advent Calendar Challenge on social media and shared my experience of walking and training with Bungy Pump with others. 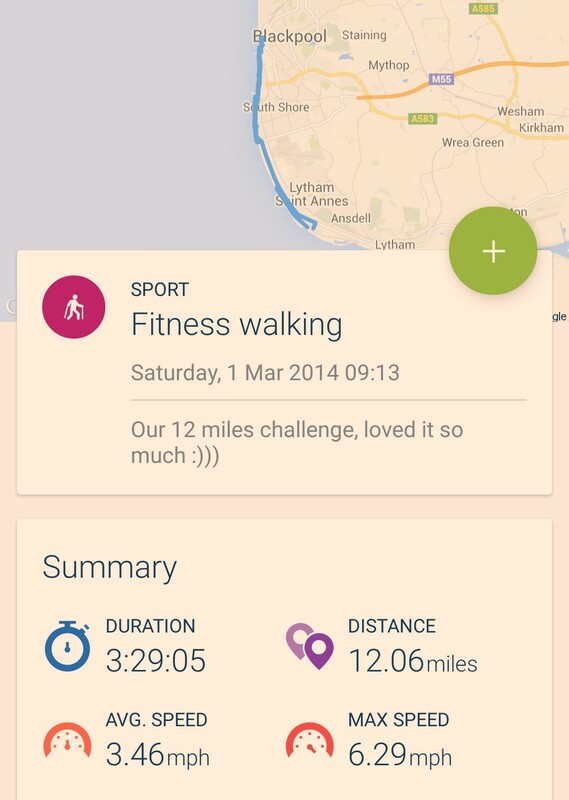 Every day I presented a single new exercise of the day to complete as a substitute to eating a piece of chocolate 😉 and walking for a minimum of 30 minutes – this led me and some of my followers to burn quite a substantial amount of additional calories which was a perfect health bonus before Christmas. Bungy Pump became a big part of my daily life and brought with it a lot of positive change. I have stopped driving to my regular yoga session and in place of it I have started walking the 3 miles each way. If I’ve had the mood for it I have also walked 4.5 miles to work and back. This allows me to complete my daily workout as part of my commute and makes me feel refreshed and relaxed after a long shift. The added bonus, of course, is that the time I used to spend going to the gym after work is now my free time to manage housework, cooking, studying, or whatever else I want. I’m actually fitting more into my life and feeling great about it. 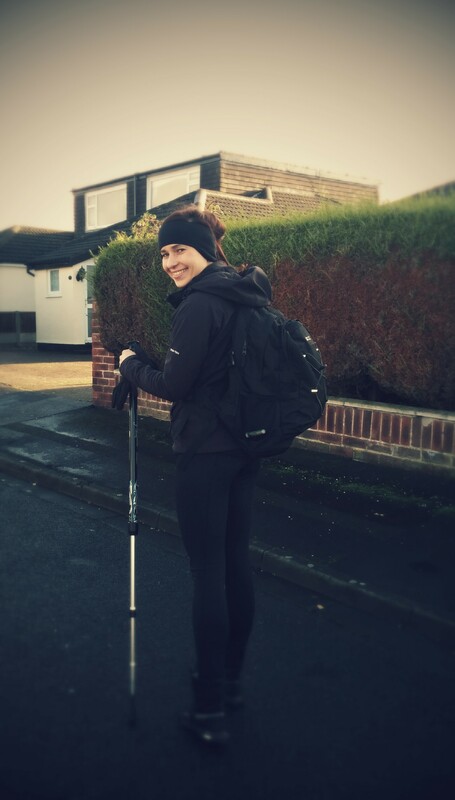 In February 2015 I completed my L2 Anatomy and Physiology for exercising course and also became a qualified Nordic Walking Instructor which has helped me build a more professional approach towards Bungy Pump workouts. During the summer I went to the Bungy Pump festival in Majorca as a part of my honeymoon 😉 which I thoroughly enjoyed. 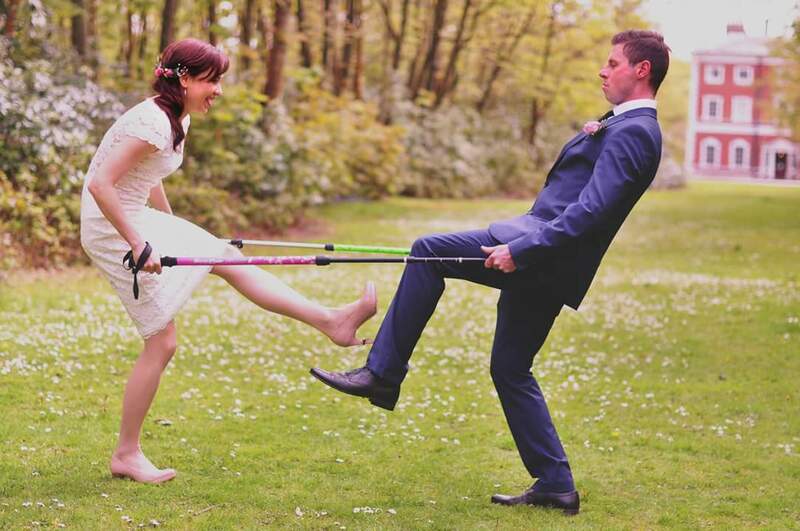 My husband and I met wonderful, passionate people 🙂 who enjoy using Bungy Pump poles as much as us. 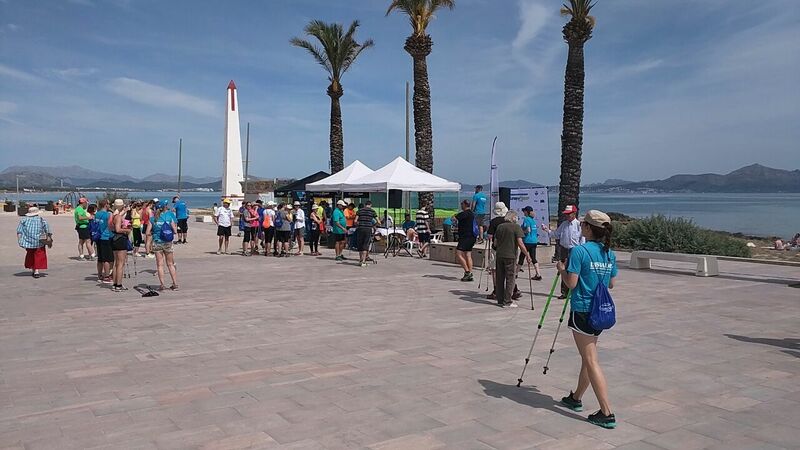 We took part in a charity challenge for people with disabilities and completed a 5km Bungy Pump beach walk. It was such a rewarding experience to be a part of it and also gave me the idea to organise a charity event back in the UK which I then did. In July this year a group of ladies dressed in pink completed the Race For Life charity 10 km walk using specially designed 4 kg pink charity Bungy Pump poles. Amongst our group we had a cancer survivor who truly enjoyed herself. 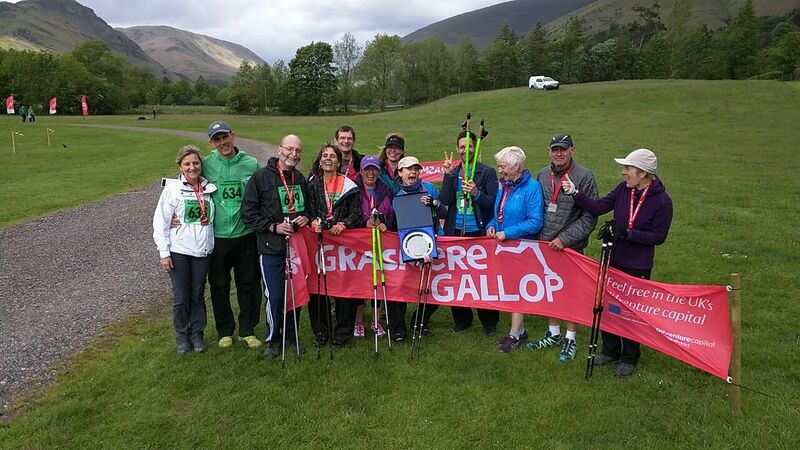 This summer I also completed another two power walking challenges – one in Grasmere using the Bungy Pump Power 10 kg model and in Cardiff using the unique Walkathlon Bungy Pump pole on the rigid pole setting. If I hadn’t walked with Bungy Pump I would never have experienced those great moments. Bungy Pump has completely changed my way of thinking about the activities I do and how I like to spend my free time. As my fitness level has gradually progressed and my muscles have strengthened I swap my Energy 6 kg suspension model for the Power 10 kg model which I currently use 3 – 4 times a week in various different ways, depending on how my body feels. By focusing on understanding my muscular system I have learned to take control of it and I am now creating the body I have always desired. 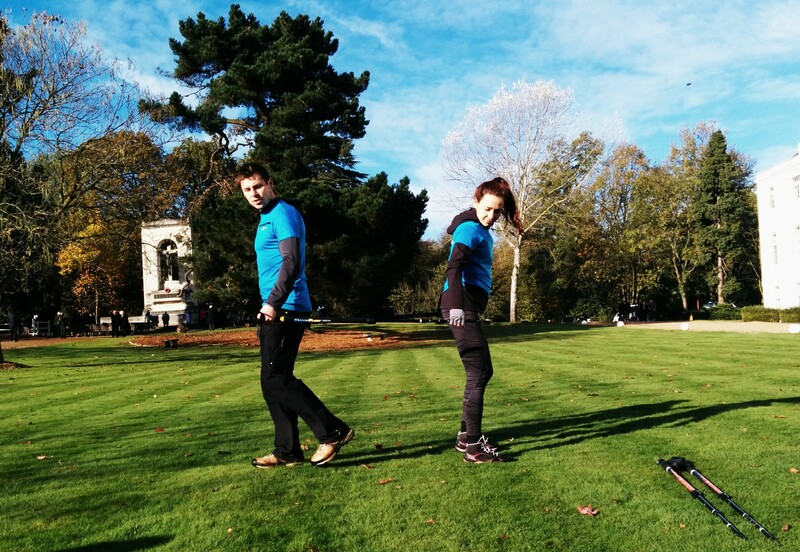 Walking is the most natural way of exercising that our bodies are designed for. Using Bungy Pump suspension poles gives me a full body workout (cardio and strength at the same time) without over stressing my body too much. If you desire extra body fat loss just increase the time of your Bungy Pump walk and keep your heart rate in the fat burning zone 🙂 and you will be pleasantly surprised with your results. 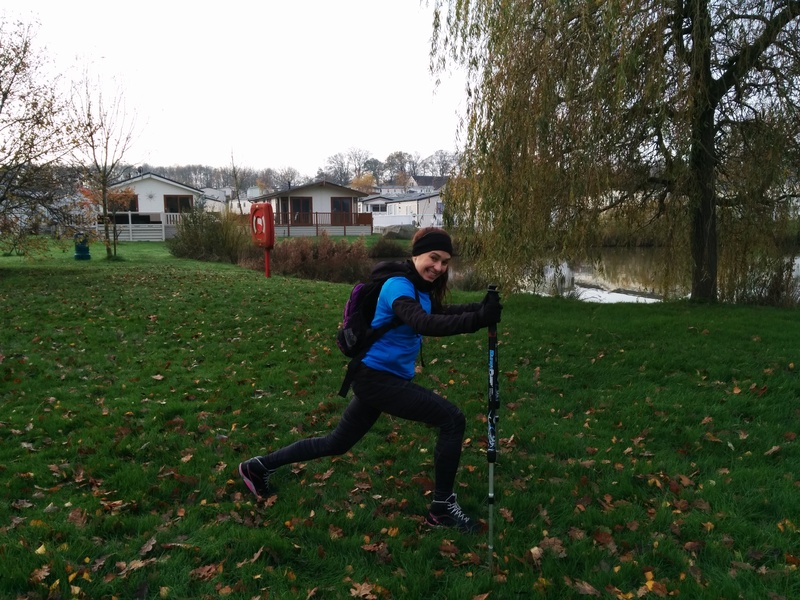 So if you are feeling uninspired, frustrated, or have reached a plateau or are stuck with your workout – grab a pair of poles and start your own mindful adventure with yourself and your body. By combing regular Bungy Pump walks with balance, and a natural diet you can be sure that you won’t need to wait long for positively surprising results to appear. Allow me to be your example. 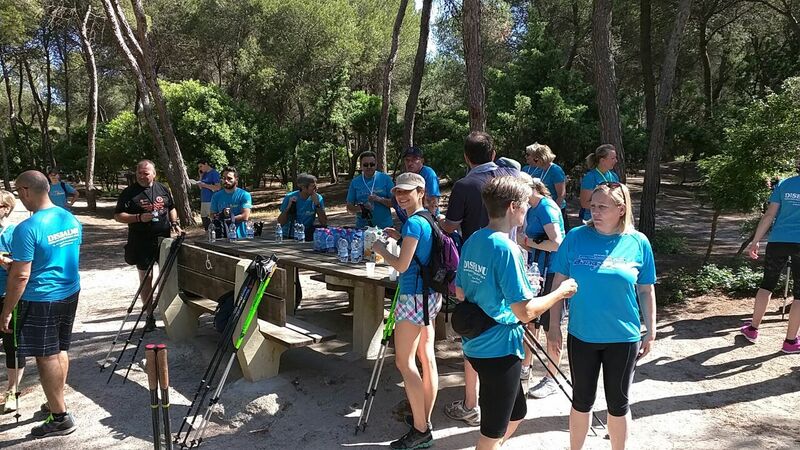 The photo on the left was taken April 2014 (early days of using poles) and the picture on the right was taken July 2015.